Item # 314894 Stash Points: 11,995 (?) This is the number of points you get in The Zumiez Stash for purchasing this item. Stash points are redeemable for exclusive rewards only available to Zumiez Stash members. To redeem your points check out the rewards catalog on thestash.zumiez.com. 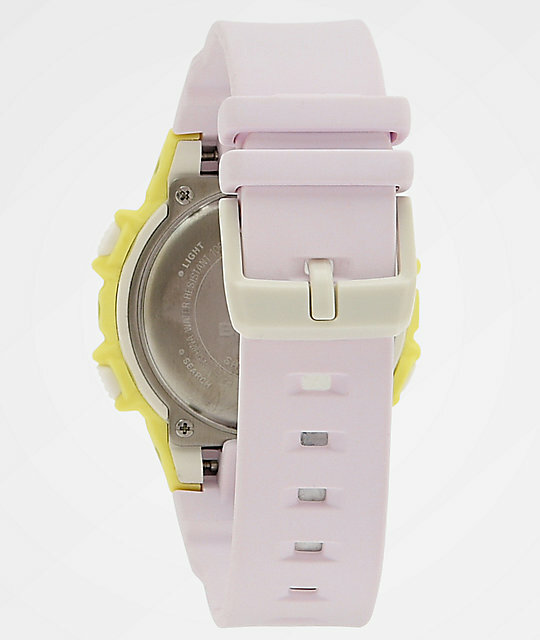 Add a vibrant splash of pastel to your watch collection with the G-Shock Baby-G Lavender & Yellow Digital Watch. 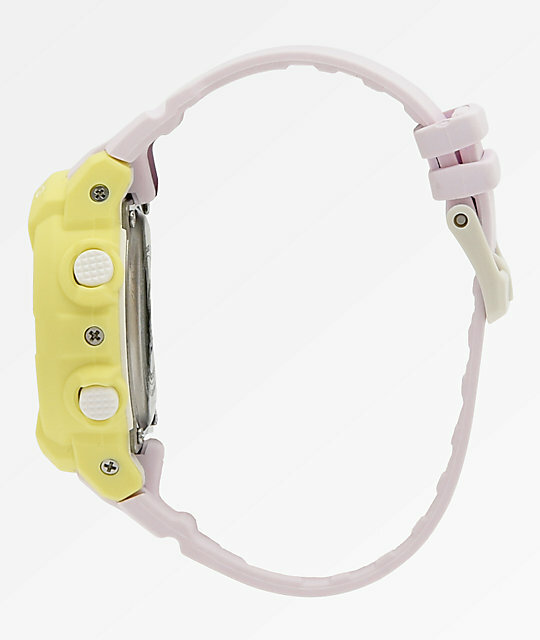 This watch features a smaller, feminine fit than its more masculine counterparts, while the colorful lavender and yellow colorway is a perfect accent to all your daily looks. Complete with 12 and 24 hour time setting and a pre-programmed calendar up to the year 2099, you can stay on schedule with ease. A timer, world clock, and LED backlight are all added for additional functionality, while the 200M of water-resistance, shock and magnetic resistance will keep this watch working like new for years to come. 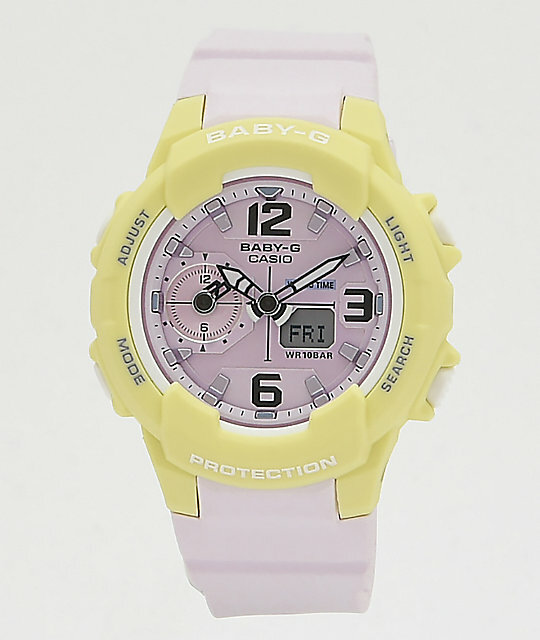 Baby-G Lavender & Yellow Digital Watch from G-Shock.